Friday I attended a fundraiser at a local church (something I normally hate doing)…and it was amazing. What made it so amazing was the obvious heart they had for each other and the community. It was so obvious and tangible in the room it brought an old conversation I had with myself to mind. This is a conversation I had when we were looking at all the different places we needed to focus on planting churches in our area of Tanzania. Cutting-edge-church-planter me: All we do is name the church after wherever it is located. We need to start thinking of names that reflect our mission and our understanding of the gospel. The Good Missionary Me: But this is how they do it, why should I change what they call their churches? The Good Missionary Me: I need to insert myself further into the local church culture first and see if I can complete some ethnographic studies to better understand what is going on before I just change something like the name of a church. The resulting reality: Why don’t I just ask them if they have ever thought about naming their churches something else and see what they say…months pass, never get around to asking because there are more important conversations going on about salvation, living out salvation, and of course clean drinking water, street children, and food security issues resulting from climate change. options…do we name a church after the village or town where it is located or do we name it after a vision that we are trying to cast for others to follow I realized that the way we name a church may also say something about our focus. When we name a church after a location, then we may be saying that we are just unoriginal, but I think more often than not we are saying that our focus is on that location and those people. We are saying that we are a church placed by God to help look after the neighborhood, to engage with the people that physically occupy this space with us, because whether or not they are like us, they have become our neighbors…and you remember what Jesus said about neighbors. On the flip side I worry sometimes, mainly because I know myself, that when we start to name churches after a ministry focus, theme, or vision that we may be too focused on what OUR vision, theme, ministry focus is and not enough on the PEOPLE that we are surrounded by. All of this brings me to my main point…the local church should be just that, a local church. I find the practice of commuting Christians a challenge to me, those that drive to another town, city, or community on Sunday mornings for worship. It is hard to do ministry in your community when you don’t also worship with them, and it is hard to do ministry through your local church if you don’t live near by. It is hard to know the challenges that the neighborhood around your church faces if you only see it on Sunday morning as so much happens throughout the week with people going about their daily routines. Yet, this is the focus of the church is it not? To be a presence in the community, to work beside, live beside, and be a witness to the people around you. I struggle with the money spent on church buildings that are often as not an empty witness to our faith during the week. Now, I love naming new ministries and organizations. I love the creative process that helps focus the work and becomes a beacon for others to follow, but I think maybe we should leave that to specialized ministries who are meant to work in broader contexts and areas. However, when we are talking about the local church, we lose out on so much when it is no longer actually a LOCAL church. With social media, communication technology, and the hyper-individualistic society we now live in (how many buzz words was that?) I think we forget that community has a physical component, without which we fail to connect at deeper levels. This is why I miss my family when I am out of the country for so long and why college students feel more disconnected when moving off campus. What we may not consent to intellectually we experience intuitively. In the end my hope is that the local church can be a local presence no matter what they name may say. What do you think? Does you church name reflect a love of community, a focus on your vision, or something else completely? When we were at Mt. 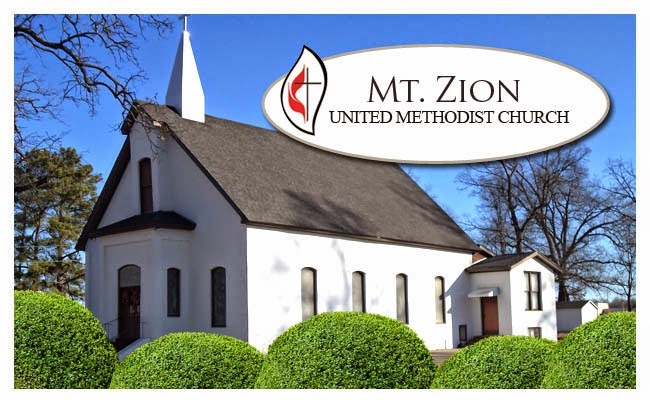 Zion I preached a sermon on "Mt. Zion" through scripture and how we can live up our name. It was the first sermon preached at Mt. Zion about Mt. Zion I was told. Now that I'm at a church called First, perhaps the message should be the first shall be last. Thank you! I love this and I agree. The church needs to be named for the community so that the community can claim their church.